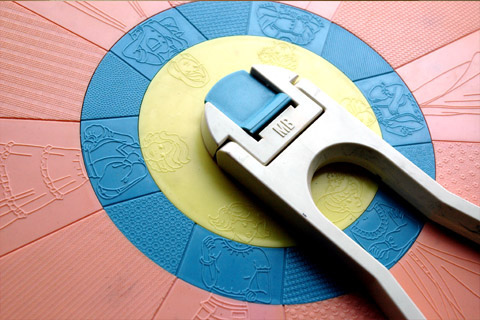 Do you remember this thing….. I loved this thing when I was growing up. You got a little piece of crayon that you took a rubbing of the ‘Fashion’ you had designed on the wheel. Obviously you could only make a certain number of designs and I always used the same head with every damn thing I designed. Well there is a wonderful site called Polyvore that is like Fashion Wheel for adults. The basic concept is to create a set with all the amazing bits and pieces you find when you are browsing online to create a whole look like the one below. I have myself created a few sets, although I must say I use it to check out ways I can wear abandoned clothes at the back of my wardrobe or to see how I can wear new purchases in ways I may not have thought of. I suggest checking it out if you are having a wardrobe dilemma or if you want to release your inner Anna Wintour. I am back on the commute again! After 6 months of living 30 minutes away from work I am again a 25 minute train ride and 15 min walk away from my desk. Although the train is not my favourite place in the world (seriously Kids EARPHONES are a great invention, I don’t want to listen to your Justin Bieber album) It does mean I can get some serious reading done again. I have sadly not been reading nearly enough ……..well Vogue doesn’t really count. 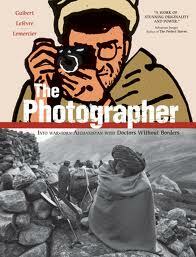 And the book I am reading at the moment The Photographer which is a mix of Emmauel Guibert’s Drawings and Didier Lefevre’s photography and stories from his time in Afghanistan with Doctors Without Borders in 1986. Our lovely little Doolallytat Dude is turning 2 tomorrow and although when asked if he was looking forward to Birthday Cake he said yes we are pretty sure he has no idea of the fun and presents to come. 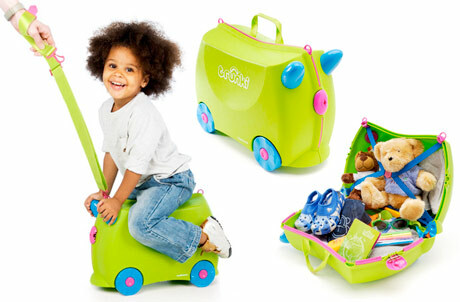 For those of you haven’t heard of Trunki they are amazing ride on suitcases for little uns’ to try and take a little bit of stress out of holidays when your little angel is screaming ‘Are we there yet’ or saying ‘Mum Mum Mum ‘for the 10000th time. The people at Trunki have been amazing The Trunkisaurus is new and they were unsure it was going to come on time but they have really done everything to make sure it was with us in good time for his birthday. 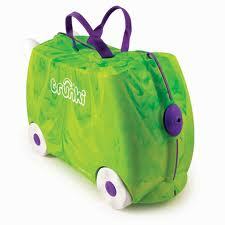 So Trunki get the Doolallytat Customer Service award of the week. I have never really been a smart dresser or a preppy girl. I have lived most of my 28 years in various types of jeans (Baggy, Flare and now skinny) and vest tops. 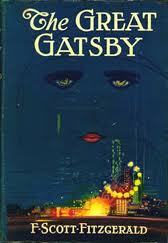 But these days I find I do want to wake up in the morning and dress up a little bit. 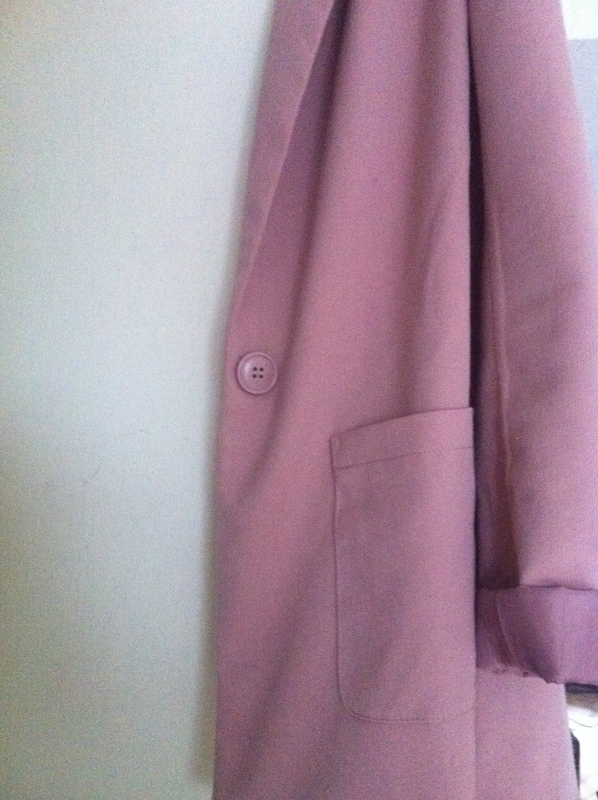 I have already purchased a lovely Blazer from H&M in a gorgeous Dusty Pink which I am currently wearing at every opportunity. Today however I am on the look out for a Black Fitted Blazer and this is a whole new world for me. Black Blazers conjure up images of Private schools and Interviews. So here I come Brighton please have some beautiful Black Blazers for me try on and purchase. I will update you later on my (Fingers Crossed) success. You know what I love today??? 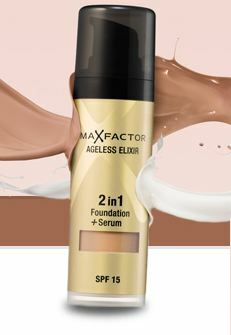 The Max Factor Team say: It is designed so that the foundation provides instant coverage of all the small imperfections that may annoy us, including fine lines, wrinkles and age spots, while at the same time, the unique serum with SPF 15 works to deliver instant protection, to help prevent against the appearance of signs of ageing when you use it daily.